TREX TRANSCEND ® RAILING IN CLASSIC WHITE AND VINTAGE LANTERN WITH TREX® DECK LIGHTING™ POST CAP LIGHTS IN WHITE. 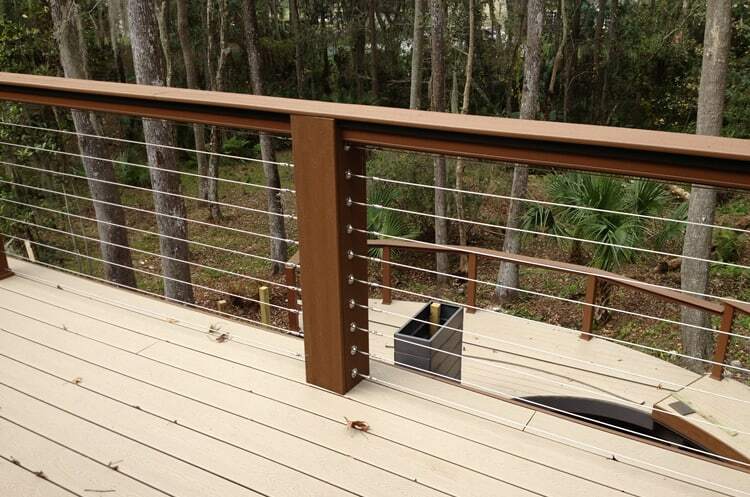 Trex Transcend Railing in white, with drink rail in Treehouse. Deck Rail Light. Ipe Decking, Trex post sleeves, Atlantis Rail bottom rail, Ipe top rail. Azek decking in Slate Gray, Atlantis Rail stainless steel top rail, vinyl post sleeves. Custom Fairway Rail in Bronze with Atlantis Rail Stainless Cable. Decking: Ipe treated with Penofin oil, Azek Rail in White with Ipe top rail. Stainless steel cable. Atlantis Rail stainless steel cable and rail. Trex Deck Select decking in Pebble Gray. 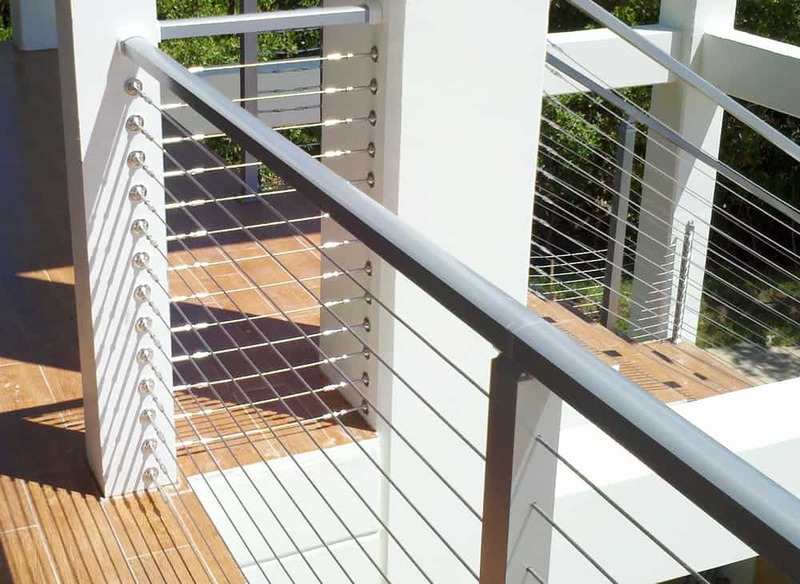 Trex Transcend Railing in White with Stainless Steel Cable. Trex Accent Lights on Posts. Stainless Steel railing with stainless steel cable. Azek posts with Atlantis Rail stainless steel top rail and stainless steel cable rail.